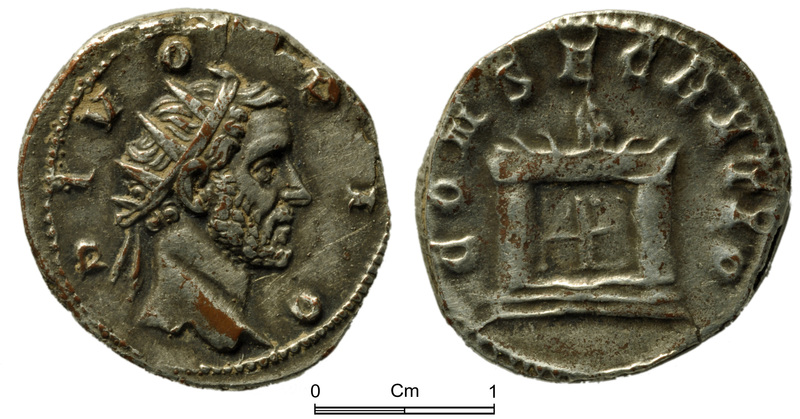 I’ve been cataloguing mid third century coins rather extensively at work recently, and whilst I was working my way through a selection of Trajan Decius’ coins I came across his ‘Consecratio’ series. During the reign of Trajan Decius a commemorative series of coins were issued, they were issued to celebrate the memory of the great deified emperors of the Roman Empire, featuring the bust of the famed emperor on its obverse, and either an altar or eagle to portray his divinity on the reverse. An altar today still carries obvious divine overtures however the eagle also bore such connotations. If an emperor was deified then his spirit would be carried to the gods by an eagle, the eagle being one of the major emblems of Rome. Working my way through these coins with busts of the likes of Augustus, Vespasian and Antoninus Pius appearing centuries later then their lifetimes, made me ask myself: Would today’s Royal Mint leave out the face of Elizabeth II from our coins in order to pay homage to previous monarchs? Imagine the coins of 2016 featuring figures such as Alfred the Great, Edward III, Henry VII or Elizabeth I. An example of Decius’ commemorative coins series, Featuring the deified Antoninus Pius. I must admit I’m unsure of how widely circulated the commemorative Roman issues were, and I’m ignorant of any such historical commemorative coins being minted in Britain today, or at least I’m sure there are none in common circulation. However I think it would be intriguing to see faces of former glories in our pockets and why not. The Olympics of two years ago flooded our pockets with commemorative sport issues, about which I’ve heard no-one complain, so maybe we’re just waiting for the right occasion to have the likes of Queen Victoria amongst our loose change again.